A body control module is a computer component in an automobile that checks, regulates and operates electronic devices throughout the car. When electric devices first began being used in cars and trucks, each device was governed by a separate electric component. There was a module for the air-conditioning, a module for the interior lighting, a module for the door locks, and so forth. A body control module gathers all these separate modules under one system so that they function together instead of separately, a format easier to both manufacture and troubleshoot. While there are many different types of body control modules, they are generally alike, connecting sensors, switches and automatic reactions together in one computer system. 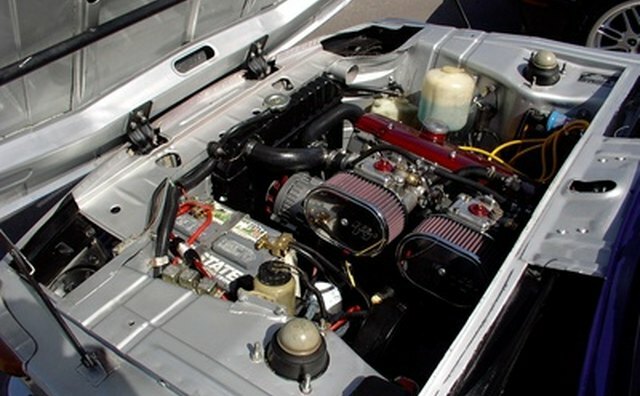 These components are divided into inputs, such as sensor data about heat or speed, and outputs, or ways in which the body control module computer responds to control the vehicle's electronic functions. 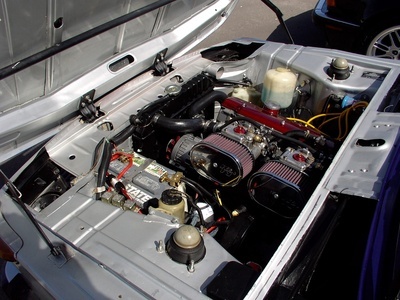 Inputs and outputs are further divided into analog and digital types of information--analog signals being used with modules that may change continuously (such as oil pressure) and digital signals being used for modules that can simply be on or off (like the headlights or the oil indication light). Input components are divided into electric parts, such as the potentiometer, the variable resistor, the magnetic pickup and the voltage generator. A potentiometer is designed to change a voltage output to the computer, so that when a fuel setting or gas-pedal position is changed, the voltage will change and the computer will read the new voltage and respond accordingly. The variable resistor works in a similar fashion, but senses changes in temperature for reading engine coolant conditions and other data. The magnetic pickup reads the speed of a rotating object via a simple magnet attached to the object, and a voltage generator sends out a voltage signal based on the presence of compounds like oxygen so the computer can tell the oxygen-rich levels of a pipe or space. Output devices consist of relays, solenoids, servomotors, switching transistors and others. Relays can turn other devices on and off by connecting or disrupting a circuit to turn on a fan or automatic air conditioning unit. Solenoids are analog components that use magnetic forces to move objects, such as fuel injectors. A servometer is a mini-motor also used to move objects, usually to turn things, while a switching transistor is the digital version of a relay. Other output devices can be very simple, such as LED lights, or very complex, such as a night-vision view of the road. The body control module computer performs many of the functions of a normal computer, including storing data, using RAM and sending or receiving radio waves. The computer regulates many of the systems and troubleshoots all its component modules. Some modules are set by timer, which the computer digitally keeps track of, while other modules--like the anti-theft alarm--need to be active even when the car is turned off. The body control module computer also can be in charge of keeping track of mileage and CO2 output. When troubleshooting, a mechanic often is pointed to the right area by the body control module system, which sends out a code that shows what module is not responding. At times, the body control module computer can diagnose itself and report specific problems. How Does an Analog Tachometer Work?